Since Microsoft and Nokia announced their joint venture back in 2011, there has been a general shift towards the Finnish company in the Windows Phone manufacturers’ market share. At present, Nokia and HTC are producing the majority of devices, with Nokia’s share (64%) over twice the size of its Taiwanese competitor (26%). All Windows Phone device manufacturers offer their customers a selection of free, exclusive apps via “private” areas of the store, but although often useful, these can differ in quality. As a former HTC HD7 owner (I now use a Nokia Lumia 920 Nokia Lumia 920 Review & Giveaway Nokia Lumia 920 Review & Giveaway A couple of weeks ago, Nokia introduced two new devices to the world: the Nokia Lumia 925 and the Nokia Lumia 928. 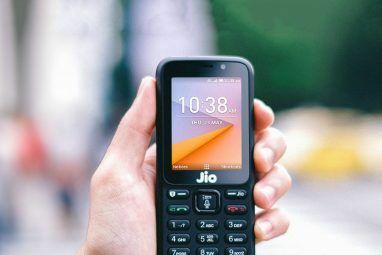 The top notch of Windows Phone 8 devices, these two smartphones will only... Read More ), I can tell you, for instance, that HTC used to offer a nice selection of utilities including a HTC Sense-style alternative home screen and a kiosk mode. But while HTC has pushed along at its own pace (and Samsung and LG have largely slept) Nokia has been innovating and producing a series of superb Windows Phone apps, exclusive to Lumia devices. Put simply, if you own a Windows Phone 8 device from Nokia, you should have these camera and image apps, which are all available free (for the full app or with trial) from the Windows Phone Store. If Creative Studio isn’t already installed on your device you should definitely try it out. With basic photo editing, collage and focus/blur options (pictured), Creative Studio enables you to easily enhance your snaps with a wide selection of filters and share to your favourite integrated social networks. Recently released is Sophielens, a new lens app for your camera that offers a range of filters for snapping photos. While there is little revolutionary in the selection of filters (which can be added to by upgrading to the $1.29 version), Sophielens allows you to preview the photo before you take it by applying the filter to the camera view. This is an excellent feature to help you choose the right filter for the scene beforehand and get a better appreciation of which filters work. Sophielens also features a quick and easy way of applying them and sharing the results. The real difference between this and a tool like Creative Studio, however, is that you select the filter before taking your photo. Available as a lens for your Windows Phone 8 is Smart Shoot, a very clever way of making sure you get the best photo possible. Picture the scenario: you’re taking a group shot of a lively bunch of friends or perhaps some children. Someone is bound to move or has ruined a couple of shots already. With Smart Shoot, you can automatically snap several images within a brief time frame and then quickly review them to choose the one you want to keep, tapping the best faces so that the app can compile the various snaps into one clear, composite image. This way you should be able to find the best photo with minimum movement from the subjects. What do you do with your favourite photos? I like to share, but from time to time it would be great if it was possible to send directly to the nearest computer or Internet connected TV. In the absence of DLNA, however, Photobeamer can help. In the web browser of your friend’s computer, visit www.photobeamer.com and launch the app on your phone at the same time. 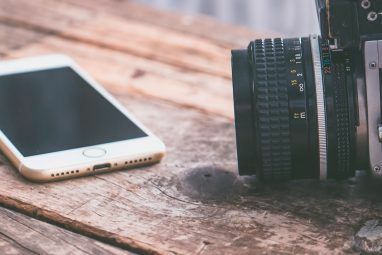 You’ll be prompted to capture the QR code that is displayed on the website, and doing so will open your phone’s photo gallery, enabling you to then transmit your photos in a temporary session! This is possibly the best photo sharing app on any platform, and often inspires positive comments. 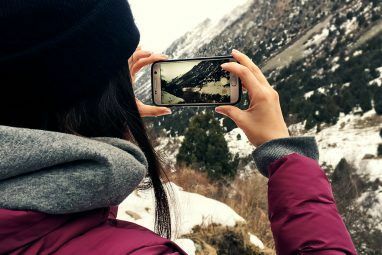 An easy way to create a GIF animation using your Windows Phone, Cinemagraph enables you to capture specific moving portions in a scene and select one or more of them to create an animation that you can then share. Uploaded GIFs are saved to your Nokia account and can then be shared with Facebook, Twitter or whatever social networks you have setup on your phone. The example above took seconds to record, configure and upload. Cinemagraph has options for configuring the GIF – three speed settings, a choice of loop or bounce and the option to “colour in” other areas that you want to animate. Although limited to your main camera, Cinemagraph completes the great selection of photo tools from Nokia. Own a Nokia? Install These Camera Tools Today! 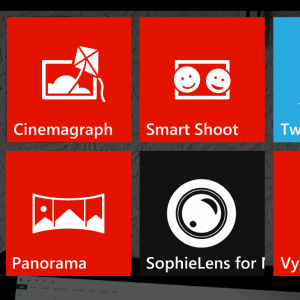 Now, while there are five apps in the list, this isn’t the full selection of camera-related apps from Nokia. There are some that simply are not good enough, and should not be considered until they receive some comprehensive upgrades. However, the apps that are listed are easy to use, fast, and give great results. Whether you’re creating GIFs, trying to get the right photo, adding filters or editing your snaps or want to share to a nearby computer, Nokia has got you covered. Explore more about: Digital Camera, Nokia, Smartphone Photography, Windows Phone, Windows Phone 8.